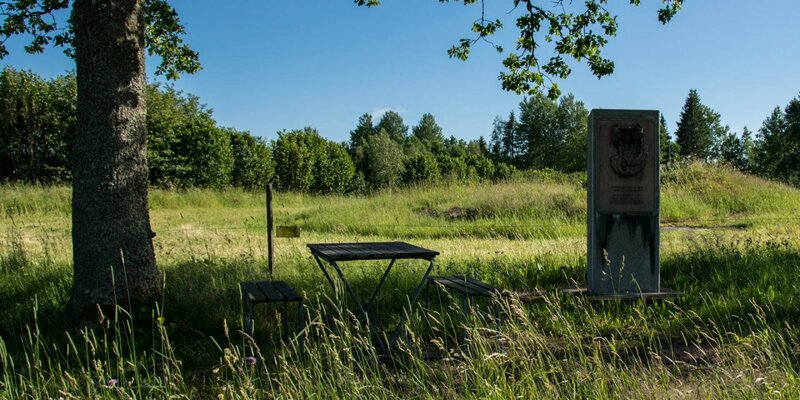 Dackestatyn, a memorial to the Småland freedom fighter Nils Dacke, is located in the center of Virserum, about 30 kilometers southwest of Hultsfred. 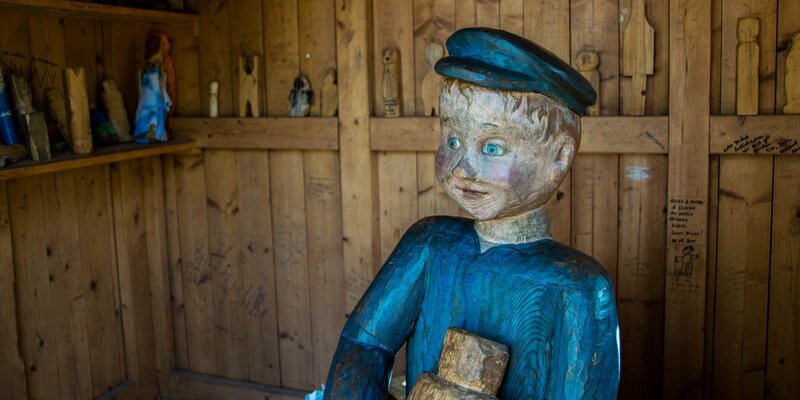 Created in 1956 by the well-known Swedish artist Arvid Källström, the Dackestatyn shows the life-size statue of the folk hero Nils Dacke, who is still revered in Småland and whose peasant army suffered their decisive defeat near Virserum. Above the left shoulder, the statue carries a crossbow and the handle of the battle ax in its right hand points towards Stockholm to the archenemy king Gustav Vasa. Nils Dacke was the leader of a peasant uprising in the early 1540s, which went down in Swedish history under the name Dackefejden (Dacke War). At that time, the peasants suffered from the high tax burdens and far-reaching restrictions imposed on them by the centralist system of government established by Gustav Vasa. 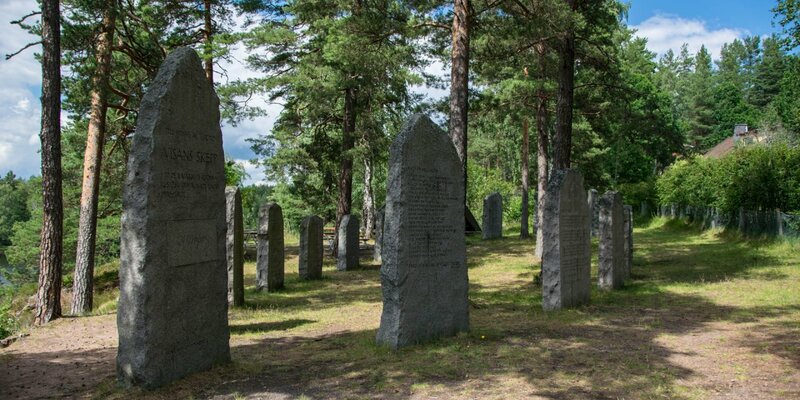 The freedom-loving Smålanders defended themselves equally against a tutelage from Stockholm as well as against the introduction of the Protestant state church. 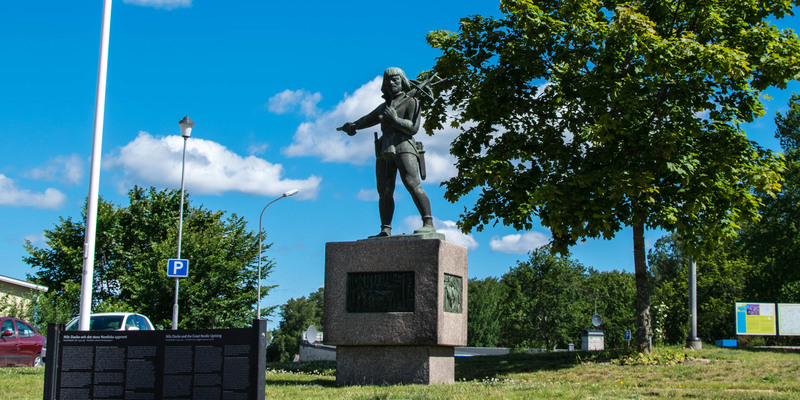 The peasant army was so successful, also due to the wide support from the population, that within a very short time it brought all of Småland under its control and became a serious threat to Gustav Vasa. Instead of moving to Stockholm with his army, Dacke closed a peace agreement with the king on November 8, 1542. Nils Dacke, who now resided on the fortress Kronoberg near Växjö, settled down to a long-term independence of Småland. Among other things, he reintroduces the border trade prohibited by royal decree with the former Danish provinces Skåne and Blekinge and allows Catholic services. Meanwhile, Gustav Vasa gathered his troops, reinforced them by about 5,000 German mercenaries and attacked the peasant army under the breach of the peace treaty in the spring of 1543. The royal troops, now familiar with the special fighting techniques of the farmers, managed an overwhelming victory in the decisive battle on the frozen lake Hjorten near Virserum. Nils Dacke was severely wounded in the battle and was first brought by his followers to safety in a cave, the so-called Dackegrottan on the southern shore of the lake Virserumssjön. About two months later, Dacke falls in a final battle on the border to Blekinge. His body was divided into several parts and displayed on a gallows in Kalmar while his head was impaled on a pole.